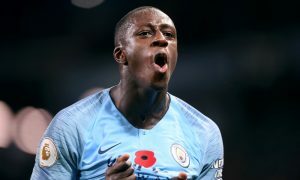 Could Benjamin Mendy yet play a part in Manchester City’s season after suffering ruptured cruciate knee ligaments earlier in this campaign? The 23-year-old, signed to much fanfare from Monaco in the summer, has even been listed as doubtful to represent France in the World Cup, but the man himself has hinted in an update that he is recovering quickly. Mendy’s absence has not been felt as much as expected thanks to the revelation that has been Fabian Delph at left-back, but an early return would certainly help City as they push for trophies after a sensational opening few months of the season.